How often do you like, share and post? What do you like online? What do you post online? What do you share online? How often? 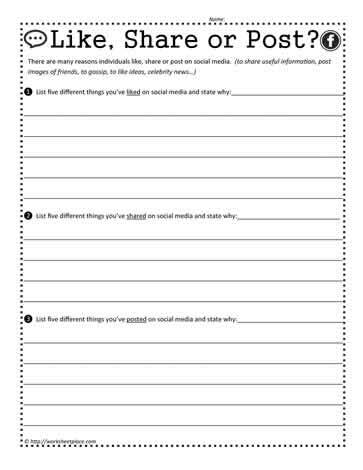 Middle school social media worksheets.